Some time ago, Googer gifted me with a copy of The Science of Good Cooking from America's Test Kitchen. We love this cookbook and have made several recipes from it. All have been excellent. 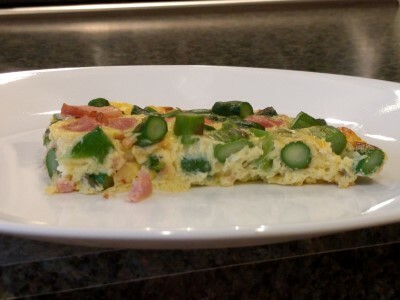 A few weeks ago, we decided to make frittata for dinner. You would think by now we wouldn't need a recipe for a frittata, but sometimes when we just do it, it's just not as good as following a recipe from a trusted source. Our ingredients don't mesh as nicely, our egg filling is missing a little something. 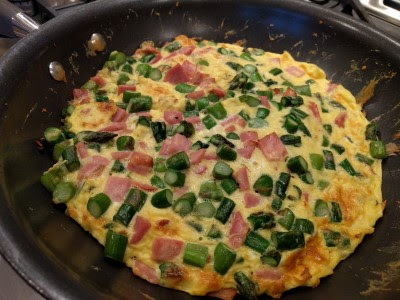 So we followed TSOGC recipe for Asparagus-Ham-Gruyere Frittata. However, we halved it. A 12 egg frittata was a bit much for the two of us. We bought some ham steak in a package. I trimmed it and cut it into small cubes. I also chopped the asparagus into small pieces while SP grated the gruyere and whisked up the egg mixture. Some time on the stovetop, a little time under the broiler, and dinner is served. It doesn't take long to make (especially if you chop/grate everything ahead of time), it's easy, it's filling, and it's yummy. 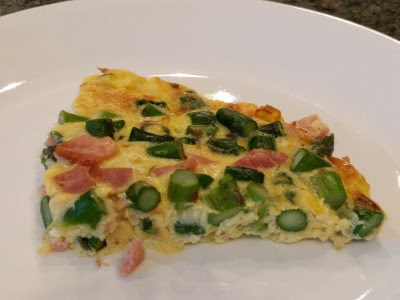 I like this ham-asparagus-gruyere combination. 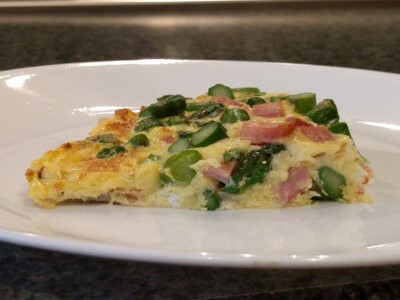 Definitely a frittata combination we'll make again.